This is a common question which we get asked everyday. 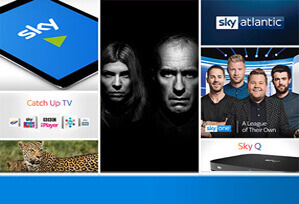 So to keep you informed, we update this page daily to provide you with the latest Sky TV deals available with freebies. Please see below for all the current Sky voucher offers, credit deals and free gifts. Please also note that these deals are only available when you order online. Existing Sky customer? Are you looking to claim your Sky reward » or voucher? Sky Broadband Only – Online Discounts! Hurry, these exclusive offers end soon! *Subject to just a minimum £20.00 one-off set-up fee for Sky TV / £39.95 if you add Broadband. ^18 contract applies to Sky TV only or Sky TV with Casual Broadband. Sky Go Extra just £5.00 per month – (watch Sky on-the-move & download content to watch later when you may have limited internet access. 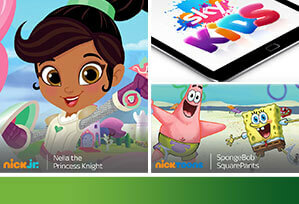 Sky Go Extra is FREE with Sky Multiscreen). Unless otherwise stated, a 18 month only contract applies to all our offers. This now includes ‘Sky Q’ and ‘Sky Fibre’ Broadband services. How do I claim my Sky Reward or Voucher? You must claim your Sky Reward / Voucher within 90 days* of your Sky services being activated (*unless otherwise stated). This was outlined alongside all offers on-site, in your basket and in the terms & conditions at the time of ordering. *If you subscribe to Sky Broadband and Talk packages then you need to switch your land line provider to Sky at £18.99 per month. This cost is included in Broadband prices. Switching is easy and you can keep your old number. If you need a new land line installed, then a Sky engineer can install a brand new line for as little as a £10 one-off payment. Your Sky basket will reflect the correct price for your location once you are ready to order. When available and therefore featured above – Fitbit Charge 2 for new Sky broadband customers only ordering without Sky TV. One reward per household. You must claim your reward online at www.sky.com/claim within 90 days of your service being activated. TV will be sent up to 28 days after activation. Availability subject to stock. Sky TV £20.00-£79 pm. 12/18 month minimum subscriptions. When available and therefore featured above – SONOS Play:1 Speaker for new Sky TV customers only. One reward per household. You must claim your reward online at www.sky.com/claim within 90 days of your service being activated. TV will be sent up to 28 days after activation. Availability subject to stock. Sky TV £20.00-£75.75 pm. 12 month minimum subscriptions. When available and therefore featured above – 32” LG TV / Samsung TV for new Sky TV customers only. One reward per household. You must claim your reward online at www.sky.com/claim within 90 days of your service being activated. TV will be sent up to 28 days after activation. Availability subject to stock. Sky TV £20.00-£75.75 pm. 12 month minimum subscriptions. When available and therefore featured above – One Spaced 360 Bluetooth Speaker per household. You must claim your free gift here online within 90 days of your service being activated. Subject to stock availability. Not available with any other Sky TV offer. Excludes existing Sky TV customers and existing standalone Sky Broadband and/or Sky Talk customers. When available and therefore featured above (applicable from 16th April 2014) – M&S voucher, Prepaid MasterCard, Tesco Gift Card or Amazon Gift Certificate for new customers joining Sky TV. One reward per household. Retailers terms apply to your reward. You must claim your reward here online within 90 days of your service being activated. Subject to stock availability. Not available with any other Sky TV offer. When available and therefore featured above – One Samsung GALAXY Tab 4 per household. You must claim your free gift here online within 90 days of your service being activated. Subject to stock availability. Not available with any other Sky TV offer. Excludes existing Sky TV customers and existing standalone Sky Broadband and/or Sky Talk customers. When available and therefore featured above – Your bill credit when you join Sky TV online. Only available at Sky.com. Credit applied to first bill. 12 month minimum term. 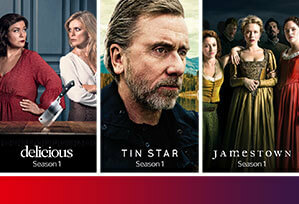 Sky TV Packages £21.50-£62 per month (pm). Sky Movies Box Office and Sky Store costs extra. This offer does not include standalone Premium Channels and is not available in conjunction with any other offer. When available and therefore featured above – One LG Soundbar per household. You must claim your free gift here online within 90 days of your service being activated. Subject to stock availability. Not available with any other Sky TV offer. Excludes existing Sky TV customers and existing standalone Sky Broadband and/or Sky Talk customers. Available 21st November to Midday November 25th. To complete your purchase and get your offer (and your exclusive voucher) you simply need to follow the steps to complete this form which will then take you to the Sky.com site. Complete your purchase online, and we will then send you your Amazon.co.uk Gift Certificate within 90 days of activation. This offer is only available through www.skyoffersnewcustomers.co.uk and only fulfilled when the whole transaction is completed online through the aforementioned website. £50 Amazon.co.uk Gift Certificate (plus £75 bill credit from Sky) available to new Sky TV customers with 25% off for 12 months. Please see here for a full list of participating companies for the Compliments voucher. When available and therefore featured above (applicable for orders before 16th April 2014) – One voucher per household and only available when you join online. Vouchers sent via recorded delivery within 45 days of activating your viewing. When available and therefore featured above (applicable for orders before 16th April 2014) – Tesco gift card for new customers joining Sky TV online. Only available at sky.com. One gift card per household. Gift card sent within 45 days of activating your service to the address provided when joining Sky. Tesco terms apply. When available and therefore featured above (applicable for orders before 16th April 2014) – One reward per household. Reward sent within 45 days of activating your service to your billing address. MasterCard® terms apply. When available and therefore featured above – Sainsbury’s gift card for new customers joining Sky TV. Not available in conjunction with any other offer. One voucher per household. Gift cards sent, within 45 days of activating your service, to the home address provided when joining Sky. Sainsbury’s terms apply.